Kitten teething problems and how to deal with the process. When cats are born they have no teeth and thus kitten teething problems are none existent until all are fully formed. This is the same for human babies, they have no teeth when they are born. In fact, cats and babies have a lot in common when it comes to the stages of the teething process. Kittens start developing what is known as deciduous teeth or their baby teeth at around the age of two weeks old. At this time they will usually develop most or all of their incisors first. At four weeks old they start to develop their four canine teeth and at six weeks old they will start to develop their eight pre-molars. By eight weeks they should have all twenty-four of their baby teeth in place. 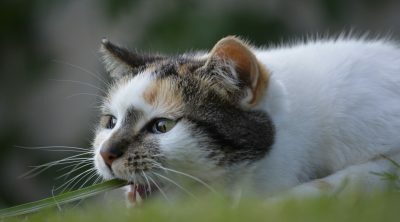 After the four month mark your kitten will then start shedding their baby teeth as they simultaneously start growing their adult teeth underneath to replace the previous ones. This process will take a couple of months and by the six month mark most of your kitten’s adult teeth should have come through. Sometimes a baby tooth may not fall out even as the adult tooth has grown beside it. In this case, it is best to visit your vet if it doesn’t look like its coming out anytime soon, if it remains in the gum it could cause problems such as overcrowding, which in turn may cause tremendous pain for your kitten. 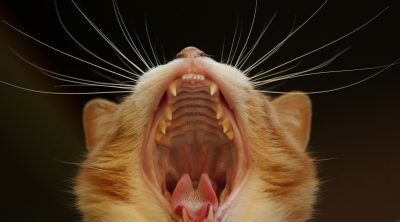 At six months, your kitten will also be developing their last four molars. Thus, by the time they are eight months old they should have all thirty adult teeth through and all baby teeth should have fallen out. 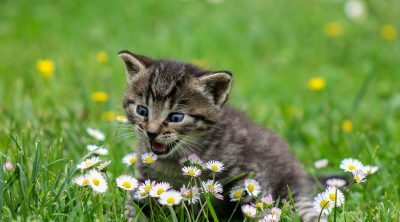 During the teething process however, your kitten may experience pain and display a variety of symptoms; which when you know what to look out for, you can then help soothe and ease your kittens teething problems. One sign that they may be in pain from the teething process is that they paw their face a lot. A second sign is that they drool since more saliva is produced in order to help break up the baby teeth as the adult teeth come through. Another sign is that they could eat less or even stop eating completely. When checking their water bowl you may also see specks of blood. On top of that you may notice that they chew things a lot more in order to relieve the pain, especially plaster and rubber. In order to help them relieve their pain, you can get chewy toys especially made for kittens to chew on when they are going through the teething process. 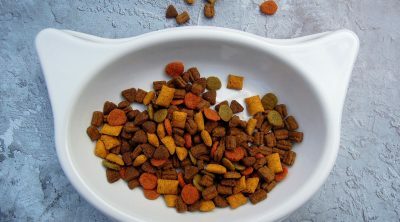 To remedy a kitten not eating, give softer foods such as high protein wet food or puréed fish. They will be able to eat these easily and they will love the taste. Also, remember to respect their space more than normal during this period as they can get more aggressive than usual, unless of course you want to have a small chunk taken out of you then stay away! Another thing you can get to ease the pain is teething granules. This is a homeopathic remedy which naturally stimulates an immune response to relieve the pain. Brushing their teeth will also help if you can get them used to the tooth brush. 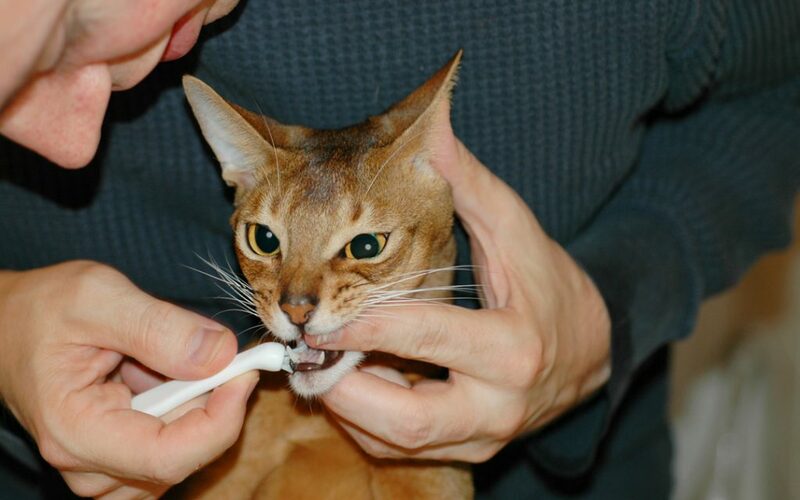 However you will need to have developed a good bond of trust with your kitten first as they may find a toothbrush scary. Just remember to take your time introducing it to them and don’t rush. 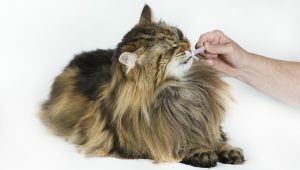 It is important to keep brushing their teeth throughout their life as cats are very prone to dental disease and most cats will have contracted it by the age of three years old if their teeth are not looked after. 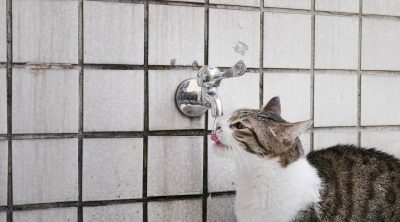 How Long Can Cats Go Without Water? Can Dogs Eat Avocado? 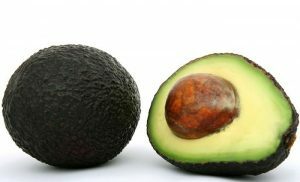 Is Avocado Good Or Bad For Dogs? Wow, I never knew cats would replace their teeth as well. 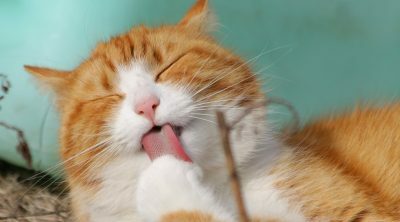 Nice information to know and I finally know why cats often paw their faces, because they are having toothaches. Though, I only know there are chewing toys for dogs, are the chewing toys for cats the same as for dogs or completely different types of chewing toys? All the same, so don’t worry if you have dog toys hanging around just make sure they’re clean. I’ve had a cat for 20 years. When we first got it I’d never heard about cat teething. Then we encountered it first hand. I remember when her first tooth fell, it scared the hell out of me. I really would’ve needed to see your post then. I think your post would be very helpful for cat owners to know what to expect and react accordingly. I found it very good. Thank you. I loved reading your article! I have a question while reading this article, but it’s not related to teething. My kitty is about 1 year old and her mouth smells sometimes. I am keen to start brushing her teeth, but she thinks it’s play time every time she sees the toothbrush. I can never do a proper job if she keeps moving around. How do I train her to accept this cleaning routine? Thanks for your advice. That’s cute she thinks it’s playtime when she sees the brush. I’d suggest you let her play with it anytime and occasionally offer her a tiny taste of the cat toothpaste as to get use to it. The way I brush my cats teeth is holding mine in my arms like a baby and put one finger inside his mouth. Get someone else to very quickly brush those pearlies, then offer a treat afterwards. If your cat doesn’t like you doing it, then it’s better to not do it but get a professional to do it.